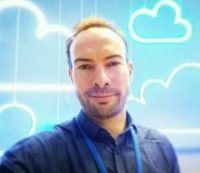 Cisco CCNP Routing and Switching 300-101 ROUTE – Antonio Feijao, Antonio AWS, Antonio Cloud, Feijao UK, AWS Cloud Solutions Architect, Open source, Python, Amazon Linux, Ubuntu, CentOS, Redhat, Linux, Networking, Cisco, Firewall and IT Cyber Security passionate! how to connect with the loopback address? show ip bpg --> pay attention to the "best path >"
# What are BGP Attributes?